Ok, I have to start out by saying I had to be dragged into the idea of doing anything in oak. 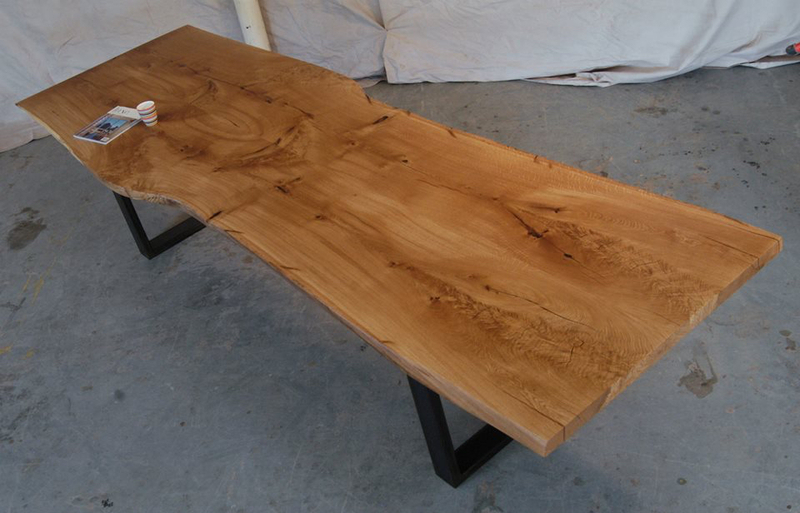 As a product of the 80's and 90's I have a visceral reaction to red oak - and not the good kind of visceral reaction. 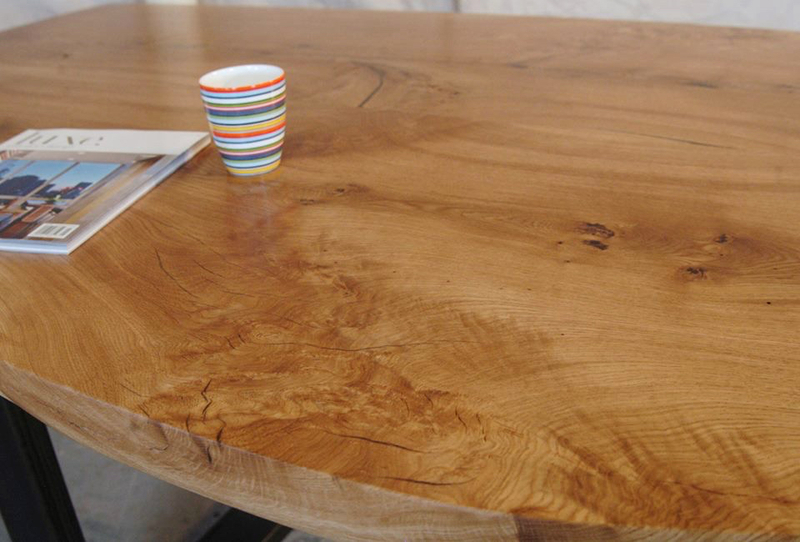 But one of our suppliers re-educated me on oak. 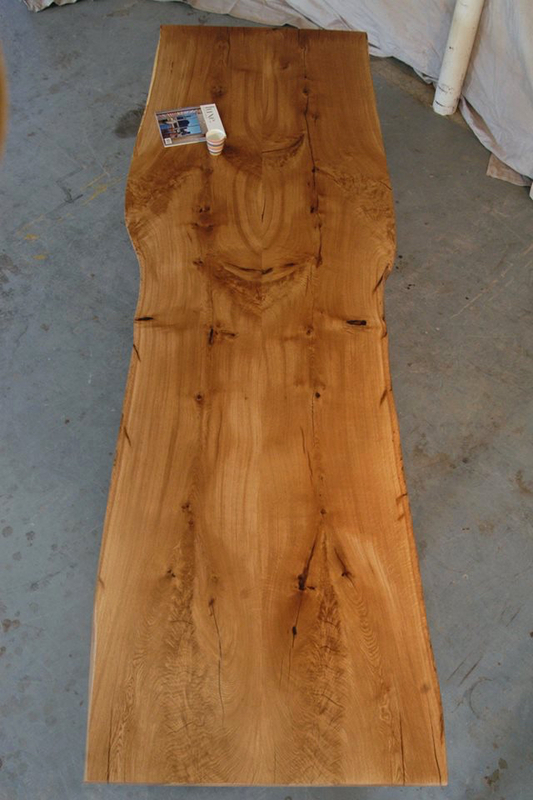 He showed me some spectacular white oak slabs - which is a very different beast from what I was expecting. 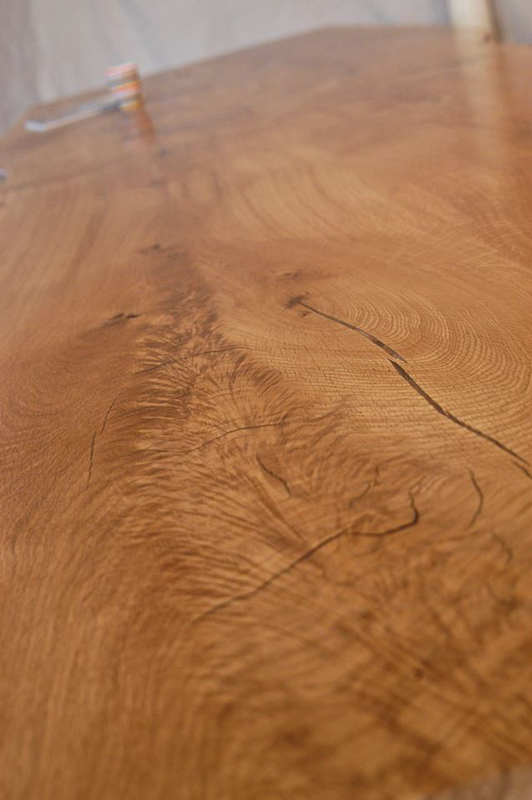 White oak dining tables can can some of the most amazing wood grain, figuring, and individual nature of any woods we work with. 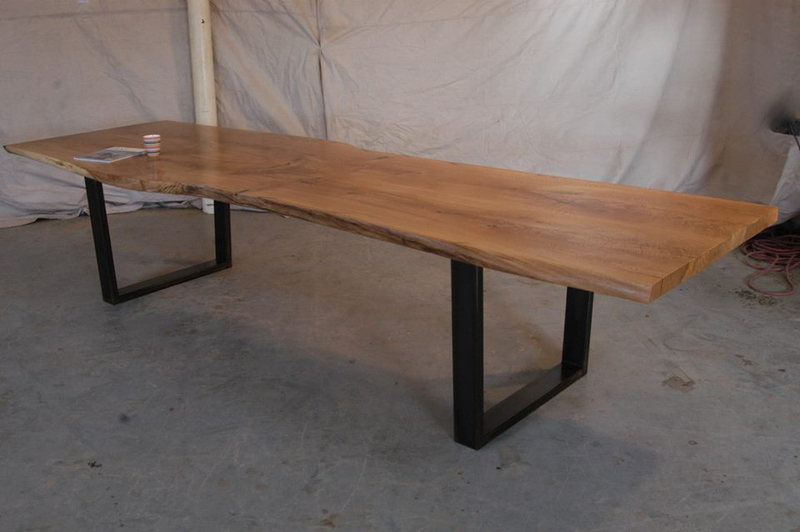 And for a raw edge dining table, there is something about the way white oak finishes - it takes on this almost glass like smoothness. Our steel U legs with the dark gunmetal bronze finish are the workhorse in our leg department. They seem to help show any top off really weel and they also manage to stay out of the way of people's legs more than most legs around. 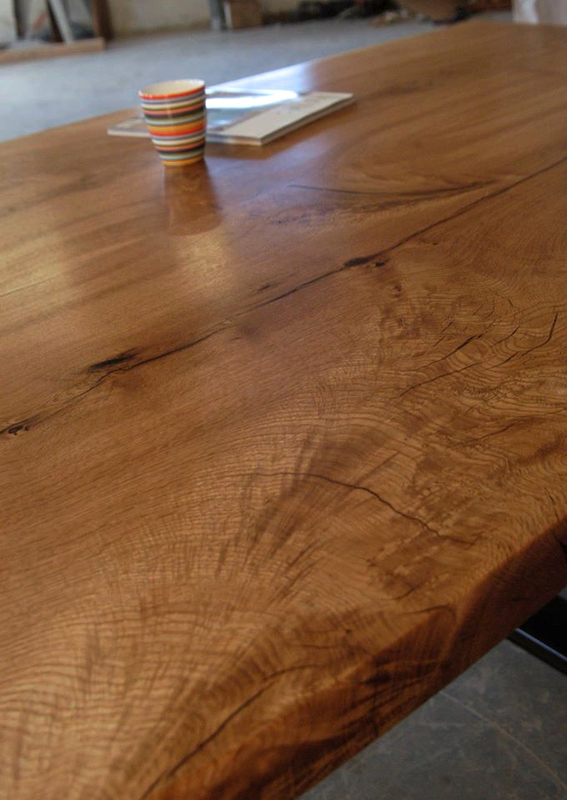 So ask us about white oak dining tables, they aren't your parent's oak of the 80's.